Darts is sure a big challenge. May the best shooter win! 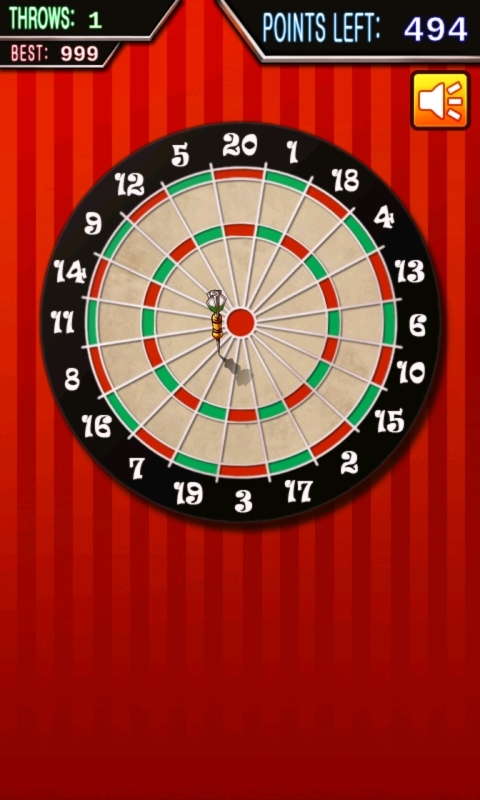 â€œ501 Darts WorldCup Shootâ€ is one of Classic Dart Game. Reach zero exactly in as few throws as possible. A rare computer sport made it on your screen. You are a player of Darts WorldCup. Move and throw your darts. Try and achieve a score of 501 in the fewest darts you can, making use of doubles and triples to maximize points in this classic darts game! Come on! Prove yourself the king of dart game. Have a happy darts life! Objectives: Each player starts with 501 points. The number of points collected while hitting a board with a dart is subtracted from the given player's points. The winner is the player who scores exactly 0 points that way. Feature: 1. Absolute Dart fun!!! 2. Easy to get started 3. Dramatic and dreamy art design which looks amazing on your device 4. Exciting music and sounds effects 5. And more fun!